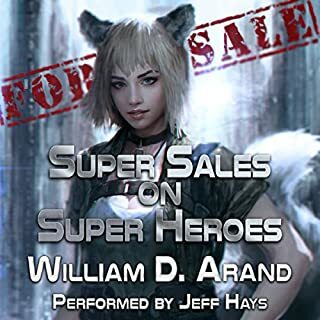 If you could sum up Super Sales on Super Heroes in three words, what would they be? Andrea, she is honest and hilarious. I haven't finished the story yet, I have about 5 more hours until the end. I love the characters in this story and can't wait until the next book is released. As metahumans emerge throughout the world, some greet them as saviors while others see them as a threat to humanity itself. A group of elite soldiers come into possession of the most powerful metabands seen yet, with the ability to destroy what was thought to be indestructible: the metabands themselves. With the destruction of the Silver Island Metahuman Detention Facility, Bay View City goes into total lockdown. The Alpha Team impose their protection, but at a price: the complete and total ban of metahumans within the city. If the author remembered what he previously wrote, and the character interactions actually made sense and weren't irrational and irritating. In ashes born by Nathan Lowell I like his previous series. Would you be willing to try another one of Kirby Heyborne’s performances? His performance was fine, the material was bad! Anger and disappointment. The supporting characters were enraging and petty. If the author could remember his plot and previous scenes; it would be much obliged! I really enjoy this series. Although the story is long it always ends sooner than I would like. Can't wait for the next story! Great work Mark, I mean Garon👍🏾😍! When the enemy discovers their hidden home, Mirikami is forced to lead 117 Kobani ships in a desperate attack against 3,000 Krall ships and uncounted warriors. Armed with a 22,000-year-old computer virus, and sheer courage, they must disable every enemy ship and weapon. The last time this tactic was tried against them, the Krall eradicated the entire Olt'kitapi civilization. a great follow-up to the on-going saga. Would you consider the audio edition of A Federation Forged in Fire to be better than the print version? I don't know if it is better, but listening to audio books allow me to do the things I can't do while reading. 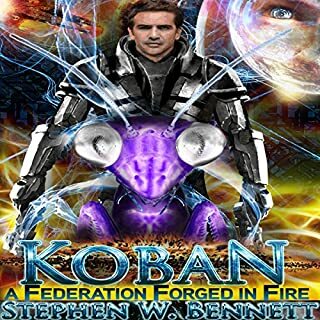 What other book might you compare A Federation Forged in Fire to and why? 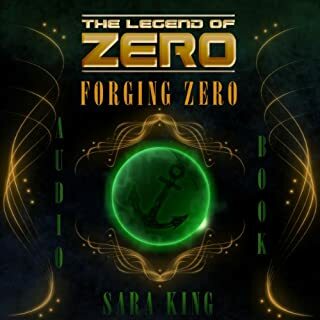 Sara king series of zero remind me of the Koban series. I love these series. I hate when they end! Love him also! His performances of this series, In my opinion, is spot on! I can't wait until the next book in this series! Yes it exceeded my expectations! The performance was awesome the end especially! 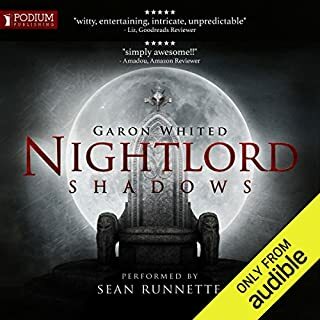 I am very happy I found this series, can't wait to hear the next book. Fresh off their successful quest to thwart not one, but two diabolical plots to destroy the world, jaded reporter Christine Temetri and rough cherub Mercury find that mysterious powers outranking even the Heavenly bureaucracy seem intent on keeping the Apocalypse on track. 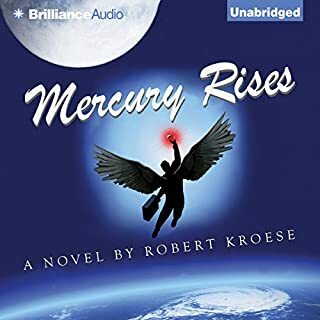 Mercury Rises continues author Robert Kroese’s tale of the heroic cherub Mercury, who is generally well-intentioned, rarely well-behaved, and always well-armed with a droll remark. While the world is plagued by natural disasters and nations. A humorous distraction, I enjoyed it very much! Book 2 exceeded my expectations! It was better than the first one. It made more sense it was funnier than Mercury falls. The author's voices weren't as bad either. Much better Jon this time. I enjoyed this book. I hope the third gets even better! Sure, but I would tell them to read the book first. It allows you to visualize the story better. What was one of the most memorable moments of Forging Zero? The last battle, and the pain endured because of it. What does Liam Owen bring to the story that you wouldn’t experience if you just read the book? I just prefer to read more, the narrator did a great job. 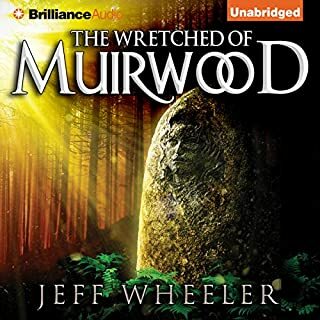 I really enjoyed this series so far I can't wait for the 4th book to be released. Talbot at his best! Again! 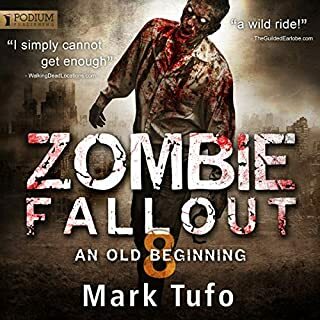 Would you consider the audio edition of Zombie Fallout 8 to be better than the print version? I don't know I have never read the story. I only listen to them. But I love them I laugh throughout the entire story! Henry, the dog. He is so cute and I love his connection to Mike. 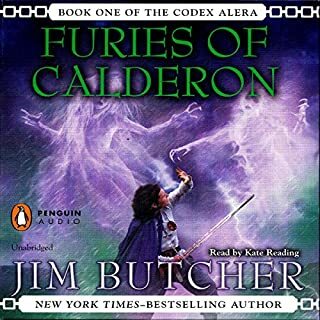 What did you love best about Furies of Calderon? Did Kate Reading do a good job differentiating all the characters? How? Yes she does a good job. I just hate the horns. What is their purpose? I hate them so much I only gave the performance 3 stars instead of 4! Stop using the stupid horns. They are distracting and annoying! For years the Department of Military Sciences has fought to stop terrorists from using radical bioweapons - designer plagues, weaponized pathogens, genetically modified viruses, and even the zombie plague that first brought Ledger into the DMS. These terrible weapons have been locked away in the world’s most secure facility. Until now. 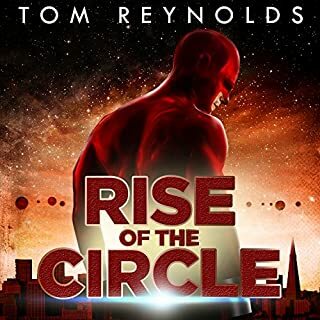 Joe Ledger and Echo Team are scrambled when a highly elite team of killers breaks the unbreakable security and steals the world’s most dangerous weapons. 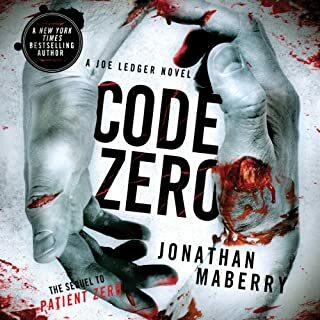 Joe Ledger continues to roll..
Would you listen to Code Zero again? Why? Definitely. I really enjoy the characters! The writing is hilarious and the way the reader emphasizes Mayberry writing is exactly as it should be. Great series! Joe of course! I love his dog Ghost also! Great I have come to really enjoy his performances. He is joe ledger! Great series, start from the beginning! I promise you will enjoy it!